News that Yorkville could get one of Toronto's first stand-alone legal pot shops piqued our interest in looking back at the neighbourhood's past with pot. A legal pot shop may be coming to Toronto's upscale Yorkville neighbourhood. But it's not exactly the first pot being pushed in the area. 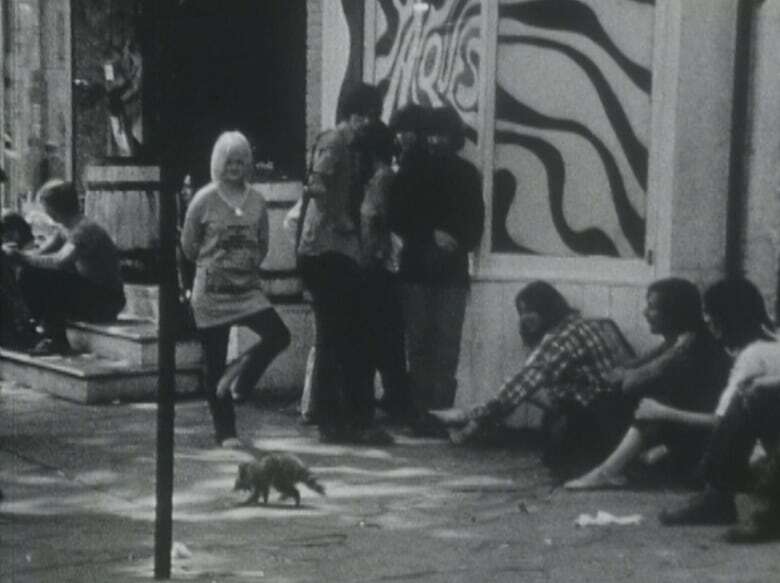 In the mid-to-late 1960s, CBC-TV made several visits there, at a time when Yorkville was a place where hippies, bikers, raccoons and other ne'er-do-wells — at least in the eyes of the squares of mainstream society — hung out. Some of CBC's news coverage during that time was focused on the marijuana and other drugs being sold and consumed in a neighbourhood that was, as noted, developing a bad reputation in Toronto. "There's a hell of a lot of marijuana floatin' around," said a young woman, who was interviewed for CBC's Newsmagazine in the spring of 1967. "People want to take it — it's their life," she added, when explaining the demand for the drug. The same Newsmagazine segment showed footage of a young man who predicted the young people of his day would someday be a force at the polls and change Canada's views on the use of cannabis. "Fifty per cent of the population being between the ages of 16 and 25, within five years, they will all be able to vote," the young man said, as a CBC camera rolled and at least one of the layabouts around him laughed. "Now, what this means is, approximately 50 per cent of those people will have smoked pot at least once and are perhaps continuing this pleasant pastime," he continued. "Therefore, because half of the country is in that age to accept free and new ideas, it seems plausible, of course, that our Parliament could do something about it." Legalization eventually happened of course, but not for another half-century. Also in 1967, CBC reporter Larry Bondy visited a Yorkville head shop called Gandalf's. "It could be a dope fiend's idea of a dream come true," Bondy said in a TV piece that aired that April, telling viewers Gandalf's provided supplies "designed to take along on a trip, whether the vehicle be marijuana, banana skins or LSD." One of the shop's owners, Larry Cherniak, showed off some of the goods available for sale at Gandalf's. He defended its offerings. "A lot of people think it's an opium-selling place or something and that's not true at all," Cherniak told CBC. "It's just a psychedelic shop. There's nothing wrong with that." His neighbours in Yorkville, however, appeared to disagree. In November, the Globe and Mail reported three-quarters of neighbouring residents had filed a petition against the store and the building's owner wanted Gandalf's to move on.